Electra Mustaine, the daughter of Megadeth founder Dave Mustaine, has announced she's following in her father's footsteps. That said, she's rebelling against Dave's hair-whippin', thrash metal ways to enter the country and western game. Mustaine had previously done a C&W cover of her dad's "I Thought I Knew It All," from 1994 Megadeth LP Youthanasia, but now she's promoting some original material. A newly loosened and super sunny-sounding cut called "Life Is Good" has been revealed in a lyric vid, ahead of a to-be-detailed five-song EP. Co-written between Electra, Nathan Chapman and Blair Daly, the song features a mix of Nashville-geared guitar sounds and lyrics about how the singer-songwriter "don't need no crazy kinda cash" in her pocket to enjoy her life. Instead, she'll take a road trip, the occasional kiss, and a sip of a "Route 44 Limeade." "It don't get much better than this," she sings. The vid is full of equally good-natured visuals of dogs wearing signs that, for once, don't shame them, and of lyrics plastered over highways, tractors, SUV's and kind-hearted folks. You'll find the visual below, courtesy of Rolling Stone. While the video possesses way more posi-vibes than Megadeth's current campaign behind their apocalypse-awaiting Dystopia LP, and does not feature a cameo from dad's metal-mouthed band skeleton mascot Vic, the elder Mustaine has given the song the thumb's up. The papa bear has been beaming over Twitter. 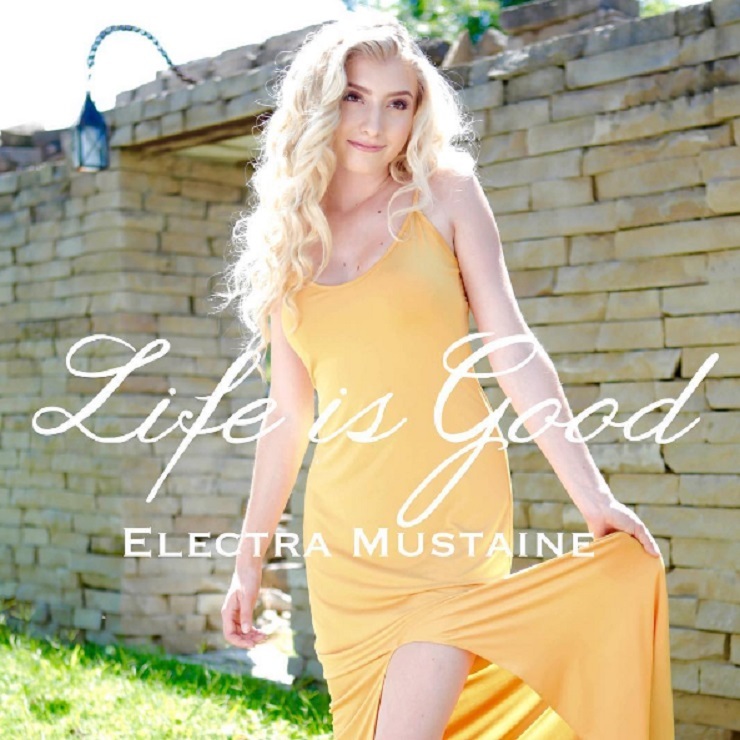 Interestingly enough, while it seems like Electra Mustaine's music won't be chock full of ripping thrash solos, "Life Is Good" does feature a performance from country guitarist Steve Wariner, who added steel guitar to Megadeth's Dystopia. You can hear how he fared alongside Electra Mustaine down below.